US Markerboard has everything you will need for hotels, industrial kitchens, hospitals, schools, business offices, and other professional environments. Megaphones, Posts with Ropes and Belts for crowd control, and Stages and Risers make every large event easy to manage and set up. 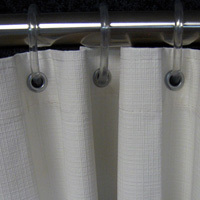 Curtains, Blinds, and Shades give privacy to hospitals, offices, and split offices. Trash Cans, Recycling Bins, and Smoking Receptacles keep your business clean and tidy. 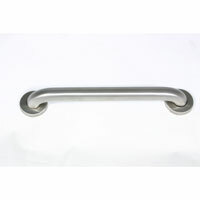 Take a load off by using Hand Trucks and Panel Movers. Crane Scales and Large Floor Scales help keep track of weights and any items that need to be shipped or carried. When you need a hand lifting heavy items, Desk Lifts, Table Lifts, Chair Storage, and Table Storage helps ease the load you must bear by making transport easier. Safety should come first in any job. First Aid Kits will take care of everyday injuries, like cuts and bumps. Face Masks prevent viruses and harmful particles that may be in the air out of your lungs and nose. Whether you work in a wood shop or a hospital, a face mask can keep you healthy. Hard Hats, Ear Plugs, Headsets for hearing protection, Knee Pads, and Safety Goggles and Safety Glasses are preventative measures to keep you from serious harm. Fire Blankets should be kept in any office, kitchen, or construction area for emergency use. When trying to get your point across, ADA Signs and Facility Signs point people in the right direction. Chalk Line Cords for road lines are a more permanent way of directing people. Podiums and Lecterns give you a location to speak to crowds out on risers or in a classroom. Audio Visual Equipment, like Projectors and Projection Screens, allow you to get through to a large group of people all at once. Make sure you�re heard and use Microphones and PA Equipment, or go back to the trusty Megaphone. Restaurants and hotel restaurants need top of the line kitchens and this is the place to find all of the Restaurant Equipment, Serving Carts, and Restaurant Furniture you could possibly need to make any kitchen run efficiently. Kitchen tools, Servingware, Bakeware, high-grade Cutlery, and electrics like Frying Equipment and Mixers will find their spot beside Commercial Freezers and Wine Storage. Serve the best food on the best Food Service Carts. Welcome guests to your restaurant or dining area with an upscale Maitre D� Stand and bring them to the best Restaurant Furniture to sit and enjoy meals at. Lay down Industrial Mats to prevent spills in the kitchen, allow guests to wipe their feet at the front door, and use Specialty Logo Rugs in the room to bring the room together. 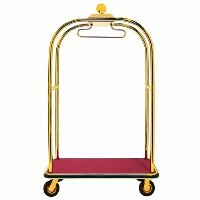 Hospitality items, such as Shower Seats, Grab Bars in the shower, Laundry Carts, Bellman Carts, and Kids� Rugs or Naptime Cots make any guest feel at home and make your employees� job easier. 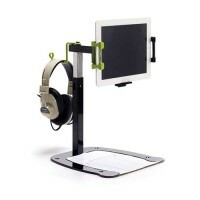 Schools will love Teacher Carts, AV Carts, and Book Carts to make lessons easier and less of a handful! Come complete your business with hospitality equipment, maintenance equipment, and all the tools you�ll need to do your job better!